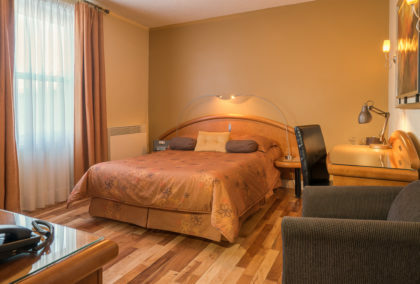 Our 9 regular rooms are equipped for the majority of a large queen bed, and one with a double bed and a single bed. 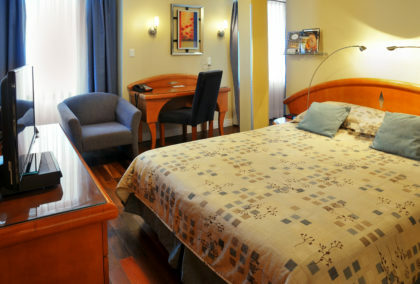 Each of these rooms has a private bathroom, either with a shower or with a single whirlpool bath. Are you coming for work? 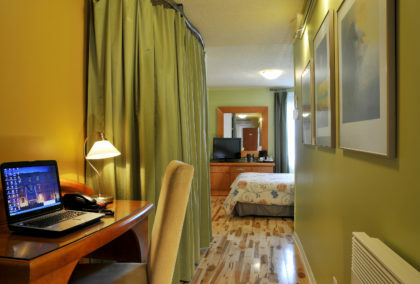 Some of our regular rooms have a work desk. 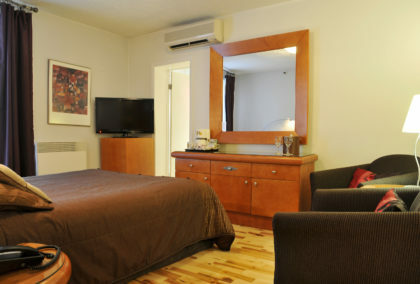 This regular room is located in our basement, with a street view on the blvd de Maisonneuve. 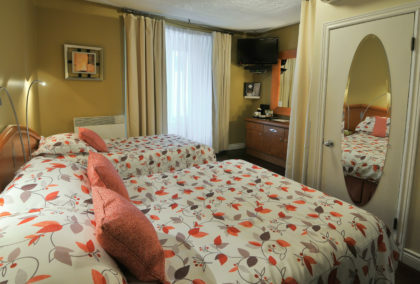 This regular room is located on the 2nd floor at the back with a view on our parking lot. 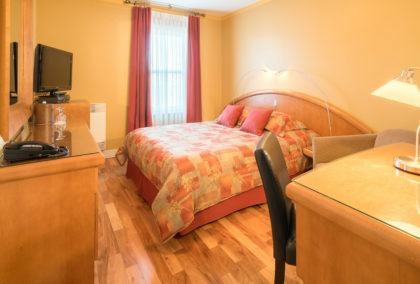 Medium and functional, it has the necessary amenities to make your stay more enjoyable. It has attractive colors dominated by ochres and terra-cota. 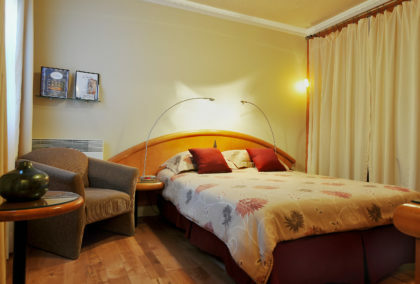 It is medium in size and its highly appreciated by business people who want to work in a quiet environment. 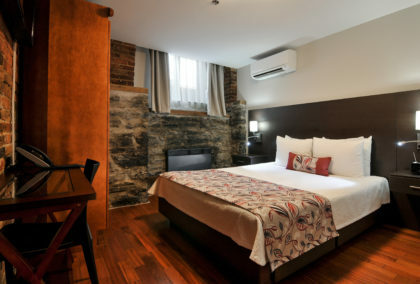 It is an excellent choice for visitors looking for a pied-à-terre to discover Montreal. 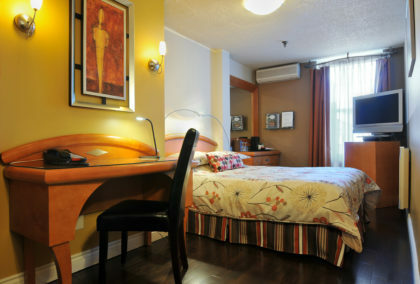 It can accommodate up to 2 persons. Medium-sized, it is highly appreciated by business people who want to work in a quiet environment. Bright with its 2 windows, it is very appreciated by the business people concerned to work in a calm atmosphere. Compact in size, it offers a cozy comfort while ensuring tranquility for who has the fragile sleep.